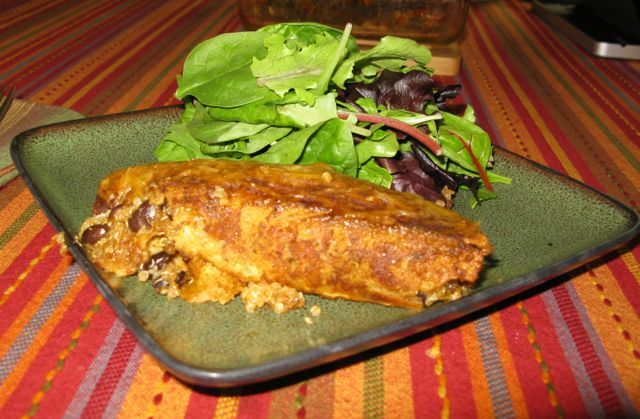 I was in the mood for a little Mexican food but didn’t want all the fat and calorie that come with a lot of the dishes, so I made modifications to a traditional dish to make it gluten-free and vegetarian. This simplified version of the dish takes less that an hour to prepare and 15-20 minutes to cook. 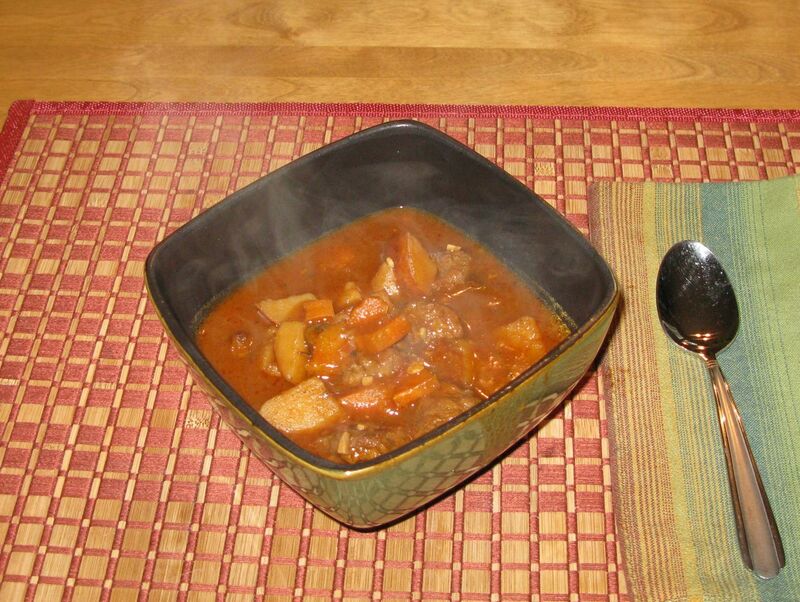 I was asked if I could make version of Beef stew because my honey was starting to miss meat again. After looking around a bit I found a substitute I found Gardein beefless tips that did just the trick. The final product was very rich, flavorful and the beefless tips were a consistency that would be hard for some people to tell it was not an animal protein. Heat a covered casserole with 1 tbsp of olive oil. Add the onion, stir and cook until soft. Stir in sweet and smoked paprika, and garlic, cook slowly for 1-2 minutes. 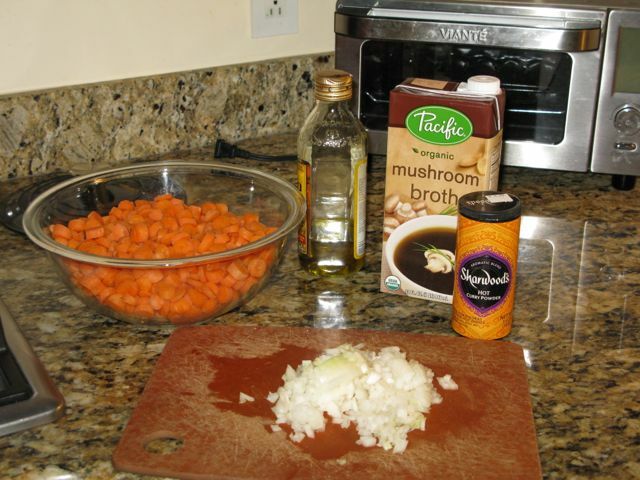 Add marjoram, salt, pepper, mushroom stock, potato, carrot, mushrooms, tomato, and honey (optional). Cover and simmer for about 20 minutes, or until the vegetables are just about tender. Dredge the frozen Gardein beefless tips in brown rice flour and set aside. Add 1 tbsp of olive oil to a large frying pan over a medium heat. Add the floured beefless tips and brown lightly on all sides. Add the browned beeless tips and leftover brown rice flour to the vegetable mixture and cook for another 15 minutes. 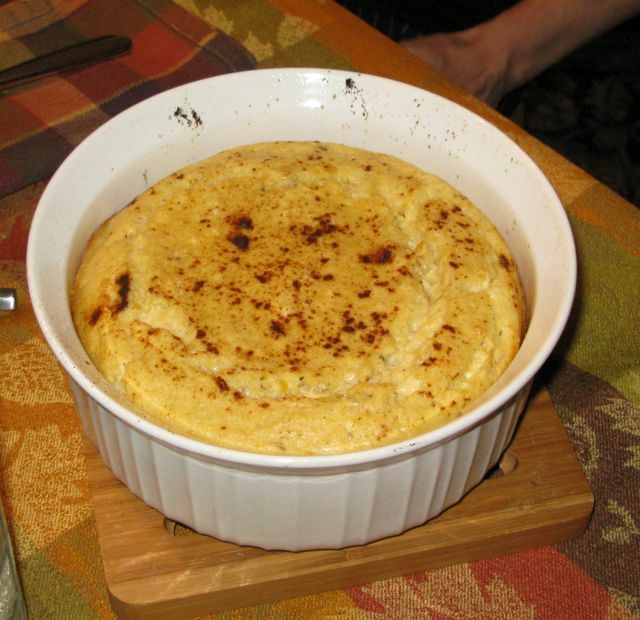 Lentil Souffle — A light easy to create main dish. Great served with a nice salad. 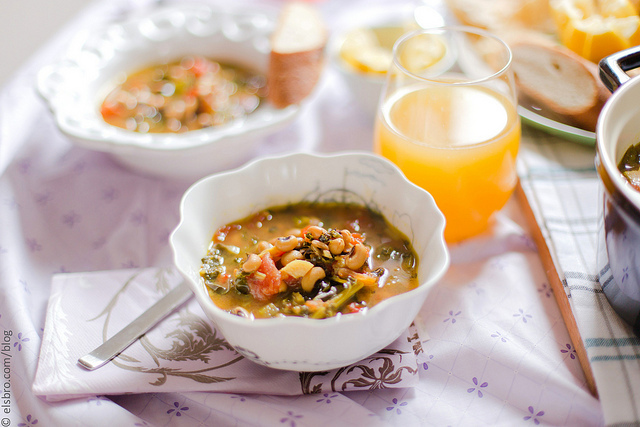 Black eyed Peas and Kale Soup — the recipe for this hardy soup can be fond on The Whinery. The only modification that I made to the recipe was using dried black eyed pies that I soaked and pre-cooked instead of the canned version, and served the dish with some hot-water cornbread. I really love the combination of herbs and spices that she uses in her recipes. 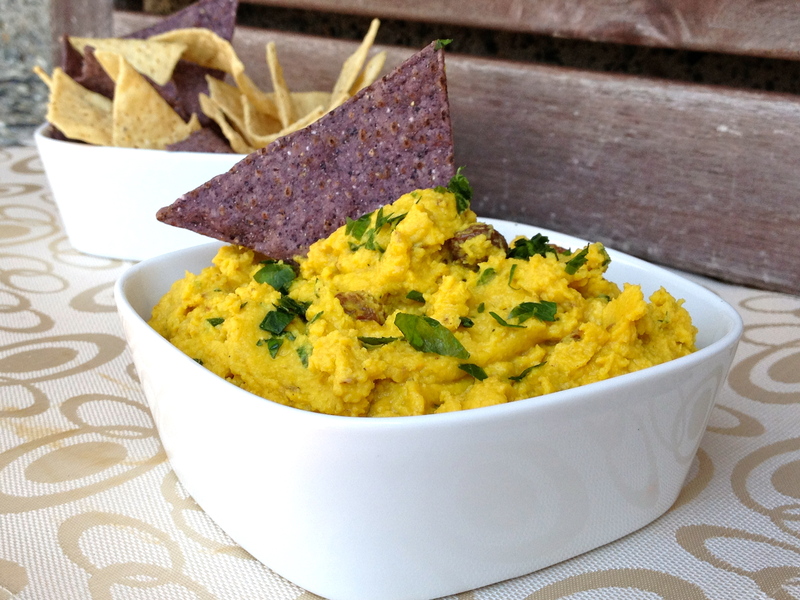 Curry Chickpea Hummus with Raisins — I made this lovey hummus to be served with fresh vegetables for lunches this week. I made slight modifications to the recipe: I did not puree the currents (I wanted some texture) and I used a hot curry power (we like spice in our foods). The recipe can be found on the Plant Powered Kitchen blog. For tonight’s dinner I have modified an old recipe to create a beefless stew using Gardein beefless tips and replacing beef broth with mushroom broth (vegetable broth would also work). You dredge and sear the tips just like you would for beef, but they are added to the vegetable mixture in the last 15-20 minutes of cooking. We are running low on bread so later this week I will be making some more sprouted loaves using sprouted quinoa and chia seeds. The seeds need to sit in the sprouter for another few days. Woke up to a beautiful day, fresh sow on the ground, bright sunshine and deer and wild turkeys in the yard. What a great day to spend in the kitchen preparing foods for the week. 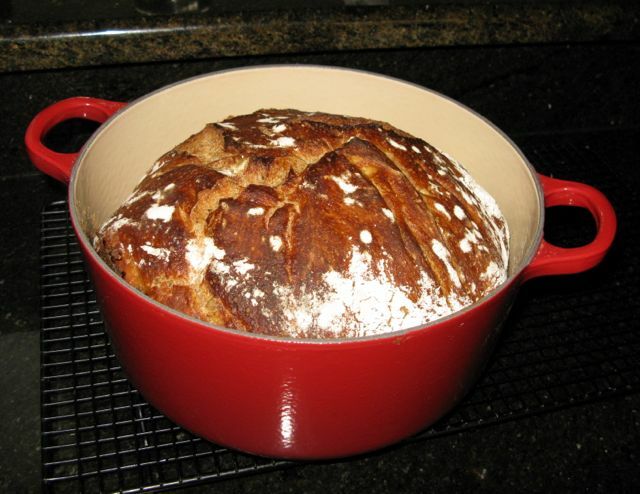 Some fresh baked breads – made a sprouted grain bread for this week. 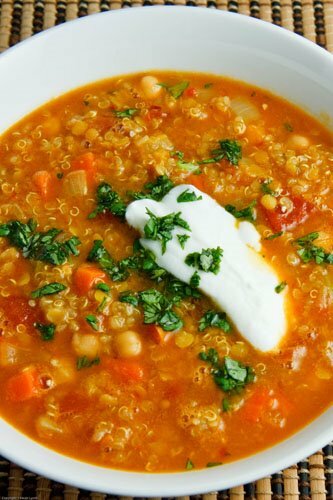 Curried red lentil soup with chickpeas and quinoa – I found this lovely gluten-free vegan soup on the Zesty Cook blog. I replaced the yogurt with cashew cram and the chicken broth with a nice vegetable stock. 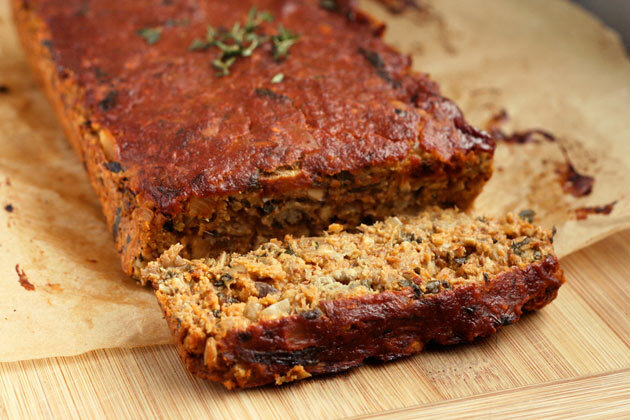 Lentil meatless loaf a favorite in my house — shows up on the table about once a month. I found this yummy gluten-free, vegan recipe on the Healthful Pursuit blog. Vegetarian chili with winter squash and wild mushroom – Recipe to be posted soon. 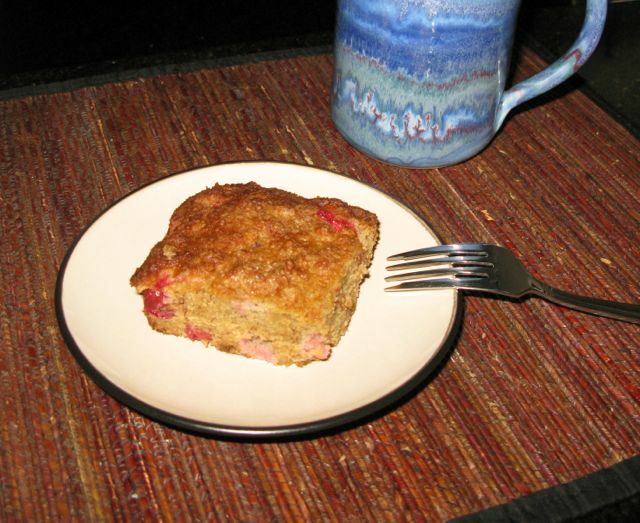 For a sweet treat Grain-free banana cranberry & lemon breakfast cake. This tasty little gluten-free cake provided the perfect balance between sweet and tart. Preheat your oven to 350 degrees and grease a 8 inch square baking dish with oil of your choice. Set aside. Mix the egg replacer and warm water in a small bowl and set aside. In a medium sized bowl mix together the coconut flour, almond flour, cinnamon, baking soda, and salt. Mix together well with a fork to decrease any clumps. Add the vanilla and agave to the egg replacer and whisk well. Add mashed banana into your egg mixture and whisk together until well combined. Pour wet ingredients into your dry ingredients and stir together until it is mixed thoroughly. Add the melted coconut oil and stir once again until the batter is completely mixed together. Fold in the lemon zest and fresh cranberries into the batter. They should be evenly distributed throughout. Spoon the batter into a greased baking pan and spread it out evenly. Bake it for 40-45 minutes or until the top is golden brown and then center when pierced with a toothpick or a knife comes out cleanly. Remove from the oven and let it cool for 20 minutes or so. Life has been so busy around my house recently that there has been little time to make tasty meals. Thank goodness the freezer was full of items that could just be taken out and warmed. This weekend I did work in making the bread for the next few weeks, but that was about it. Monday we had pesto made over the summer and lentil meatballs over rice pasta, but with the amount that was left on the table I knew that I needed to make something fresh today. 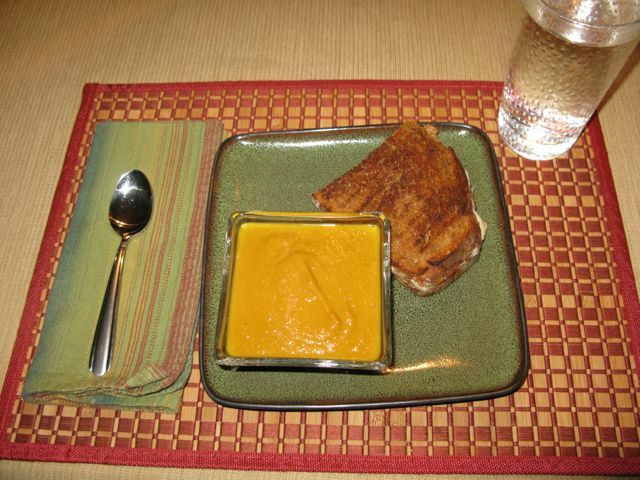 I pulled out an old standby recipe that is healthy, tasty and low calorie — a carrot soup that I haven’t made in ages… good thing the soup was low in calories, because I served it with grilled cheese sandwiches that were served on the pumpkin-rosemary bread with biga that I made with teff flour (from the gluten-free & vegan bread book) — which wasn’t that low in calories, but oh so tasty. Since the soup only takes about 15 minutes to prepare and another 25 minutes to cook, I thought I would share the recipe with you. Heat the oil in a medium to large pot over medium heat. Saute onion until tender and translucent. Stir the curry powder into the onion. 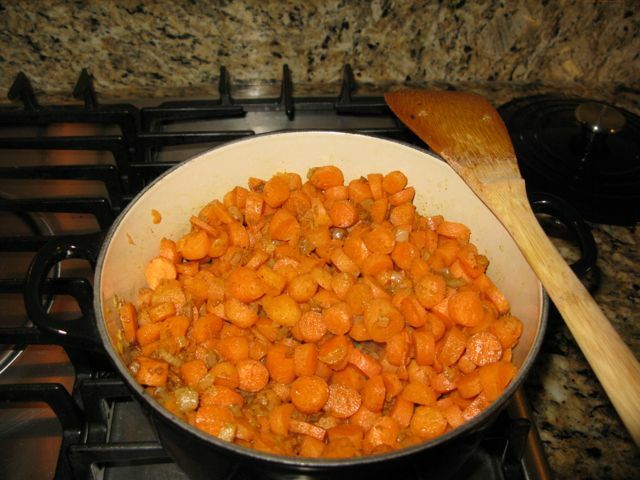 Add the chopped carrots, and stir until the carrots are coated. Pour in the vegetable broth, and simmer until the carrots are soft. Transfer te mixture to a blinder, and puree until smooth. Pour back into the pot, and thin with water if you prefer a thinner soup. Next week is going to be so busy for me that I spent the entire day today preparing meals for the next 5 days. One of the items that I made was a gluten free, vegetarian version of Swedish meatballs with gravy over gluten free pasta for Sunday dinner. They were simple to make (I cheated a bit by using a vegetarian wild mushroom gravy packaged by Imagine for the sauce) and the herb mixture makes them very tasty. 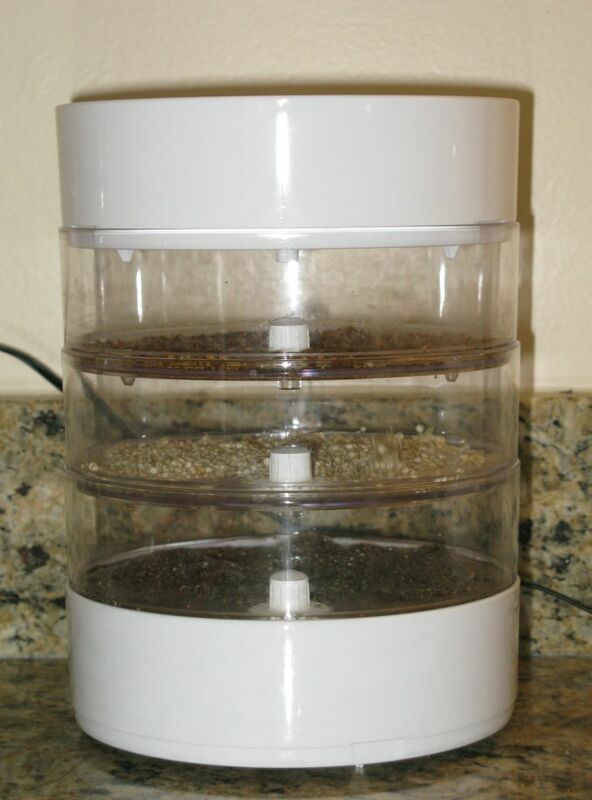 Process the lentils in a food processor until smooth. In a large bowl, mix the lentils with the rest of the ingredients, and let sit for 20 minutes to allow the breadcrumbs to soften. Preheat the oven to 400 and line a baking sheets with parchment paper. 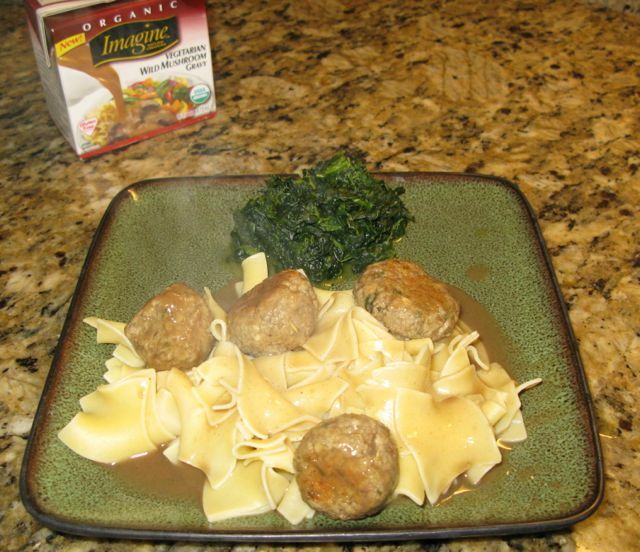 Check the consistency of your meatball mixture by rolling a 1″ ball between your palms. If it feels wet or falls apart, add more breadcrumbs until it holds together. Roll your meatballs and evenly space them on the baking sheet. They won’t spread in the oven, so you can place them right next to each other. Brush the tops with olive oil. Bake in the middle of the oven for 15-20 minutes until the tops are golden brown, rotating the sheets and flipping the meatballs halfway through baking so they brown evenly. Remove from the oven and let cool slightly. While the meatballs are baking, warm the gravy in a medium sized sauce pan. When the gravy is warm add the meatballs and simmer for another minute or two. Serve over noodles or quinoa. Today the temperature has dropped into the low 50s, the sun is playing hide-and-seek and the wind is blowing. What a great day for soup and a hardy one at that. I already made a bean soup earlier this week so another one was out of the question, so the next base item that came to mind was potatoes. 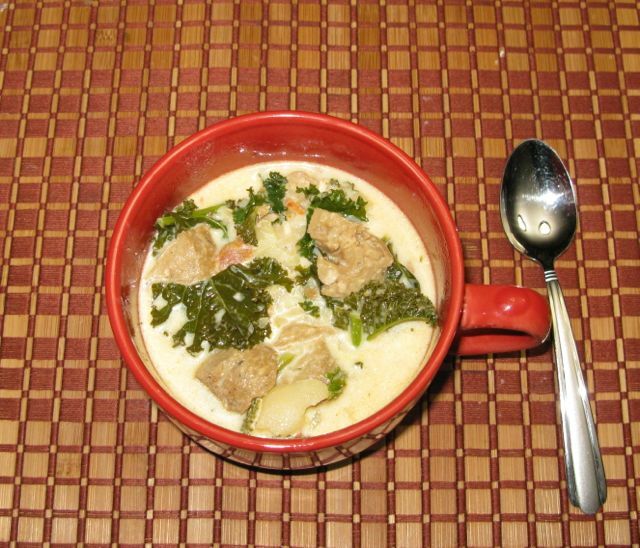 Fortunately, I had everything to make a vegetarian version of the Zuppa Toscana served at Olive Garden. Even better, I cooked it in a crock-pot so that I could take care of some other things while it cooked. Brown the sausage links in a saute pan. Cut links in half lengthwise, then slice into bit sized pieces. Place sausage, vegetable broth, garlic, potatoes, onion and pepper flakes in slow cooker. Add just enough water to cover the ingredients. Cook on high 3-4 hours or low for 5-6 hours, or until potatoes are soft. 30 minutes before serving mix flour, cream cheese and 1 cup of the soup stock in a medium bowl until smooth. Add the cream cheese mixture and kale to slow cooker, stir the mixture until well incorporated. Cook on high for 30 minutes or until broth thickens slightly. Our house guests from last week are on their way back to the west coast so we now have a bit of down time before our guest from Alaska arrives this coming Tuesday, so I decided to do a bit of cooking. Fortunately both apples and cranberries are in season, so a couple of things that I made are a harvest apple pie and some non-tomato ketchup (made with apples and cranberries among other ingredients) for the pantry. 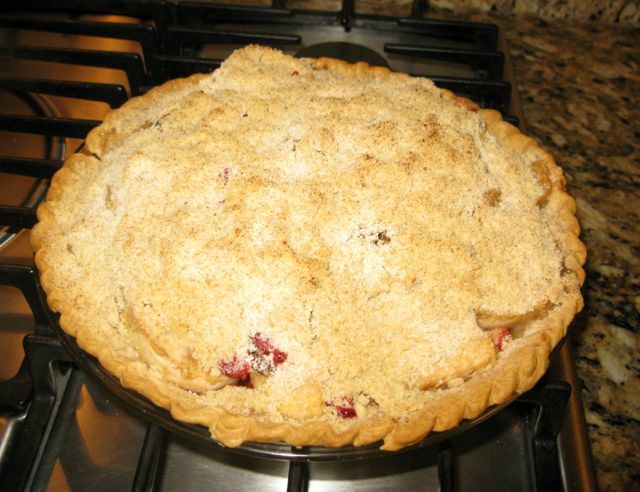 The pie recipe is listed below — I didn’t include my pie crust recipe because everyone has their own favorite. Line a 9 inch pie pan with the dough. In a large bowl stir the sugar, salt and flour together. Add the cranberries, raisins, and lemon rind. Peel, core, and slice the apples and toss them in the sugar mixture. Pile the filling into the lined pie pan an dot with the butter. In a small bowl, mix the brown sugar and flour until blended. 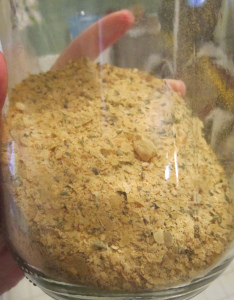 Rub the 1/4 pound of butter into the flour mixture with your hands until it resembles course bread crumbs. Spread the crumb topping evenly over the apple mixture. 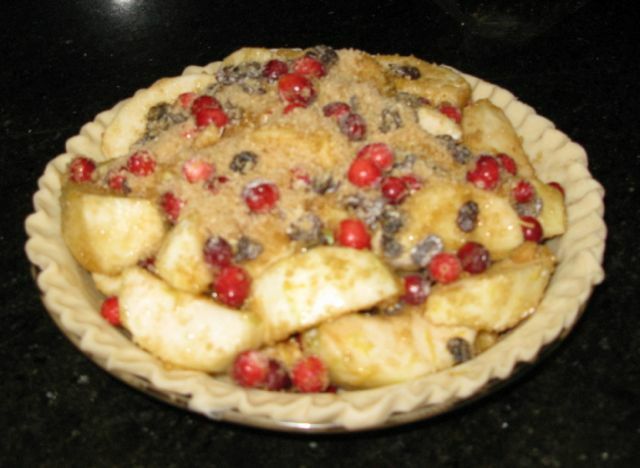 Bake the pie in a 425 degree oven for 10 minutes, and then lower the oven to 350 degrees and continue bake for another 30-40 minutes or until the apples are tender. With a number of fall fruits on hand I made some fruit based ketchup to serve with a few meals this fall and winter. 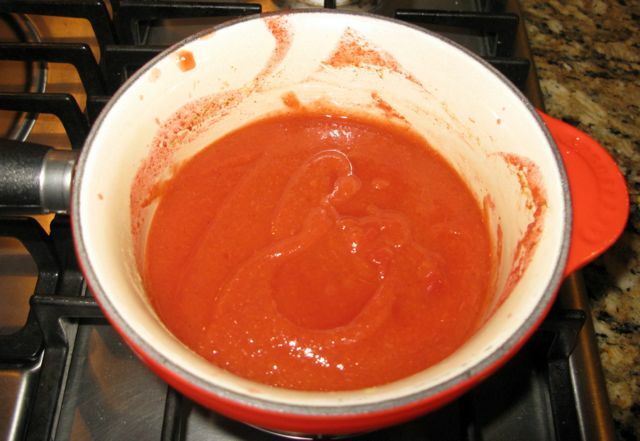 My spouse has an intolerance for tomatoes but like ketchup on a few of the items that I cook in the colder months, so I started looking around for a recipe that had the flavor and consistency ketchup without the tomatoes I found a recipe on the Low Amine Recipes blog that I could adapt for our needs. On medium low heat, cook all ingredients together, covered, in a small pan for about 15 minutes or until the ingredients are soft. Once the mixture is cooled place in small containers freezing the portions that will not be used within a week. 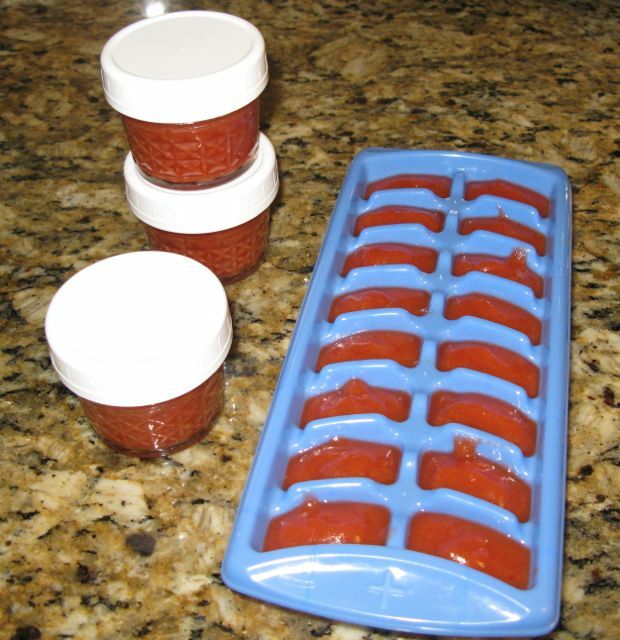 Used small jelly jars for larger servings and ice cube tray to freeze and then bag individual servings. 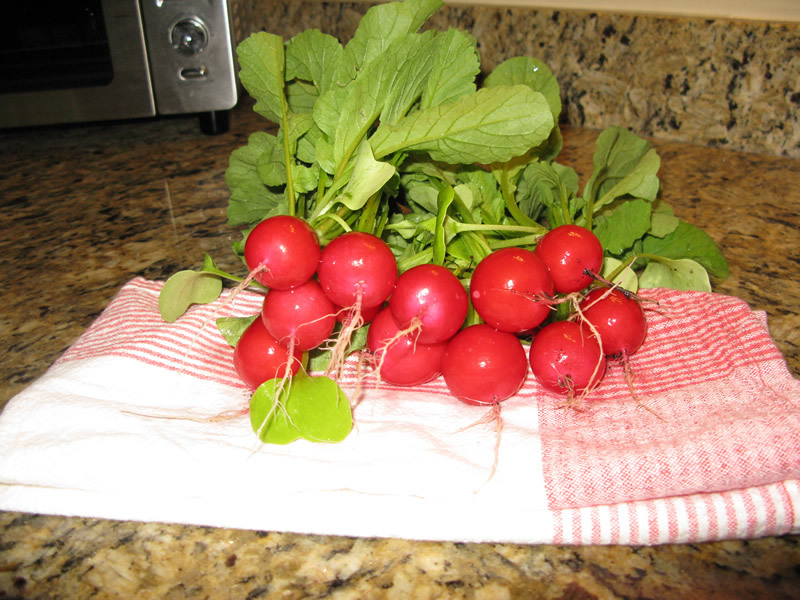 The second set of radishes were ready to be harvested in the garden and I needed something a little different to serve with spicy black bean burgers, so I decided to roast a bunch. They turned out to be tasty little nuggets that had lost the bite that you sometimes get from radishes. Needless to say that there was not one left in the bowl at the end of the meal. The two varieties of granola are in the square containers along with some of the ingredients. They are very tasty served with plain yogurt. Take 1 cup of the hazelnuts and grind them in the food processor. In a large bowl, combine the ground hazelnuts, the other cup o f hazelnuts, oats, hemp seeds, chia seeds, salt and carob a powder. In a small bowl whisk together the maple syrup, applesauce, milk and vanilla. Add the wet to dry and mix well. Spread mixture onto a lined baking sheet and bake for about 17 minutes. Remove from the oven and turn the granola over and then place the tray back in the oven for another 15-17 minutes. Place the tray on a rack until completely cooled and then store in an airtight container. In a large bowl, combine all the dry ingredients. Add wet to dry and stir making sure all the dry ingredients are evenly coated. Place onto lined baking sheet and cook in the oven for about 30 minutes, stirring the granola about half way through the cooking time. I finally got tired of saving vegetable scraps to make a vegetable broth that eats a lot of energy to prepare and needs to be used right away or stored in the freezer. I was also not very happy about paying and arm and a leg for store bought broth that has no chemical additives when I didn’t have the time to make my own… So I decide to look into creating a vegetable broth powder that would have a long shelf life (for this type of item that would be 4-6 months in our household), was easy to prepare and would pass the “taste test” at our dinner table. The following recipe is met all of the criteria that I defined. It also came with an extra bonus of smelling wonderful during the preparation process. Place all, except parsley, in a blender and blend until well incorporated. Add the parsley and pulse until chopped and integrated into the mixture. Add 1 tablespoon of powder for every two cups of water used in a recipe. 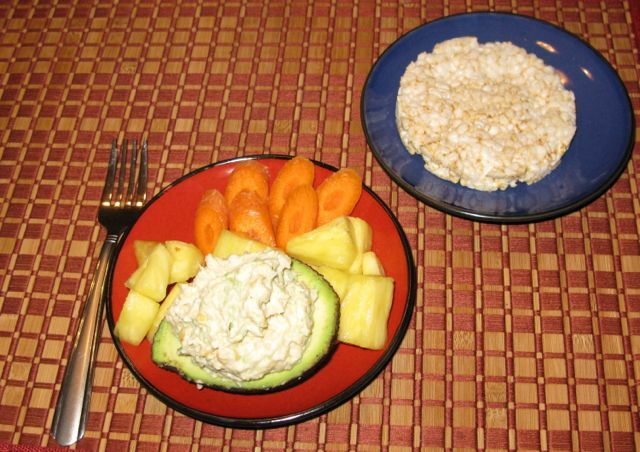 I was looking for something quick and light to make for dinner tonight and remembered an “oldie but goody” — mock tuna salad. I checked the fridge and cabinets quickly, and as luck would have it everything that I needed was on hand. Mash the chickpeas in a medium size bowl (you will want to keep some texture in the beans). Chill for at least an hour prior to serving. What a nice July weekend. 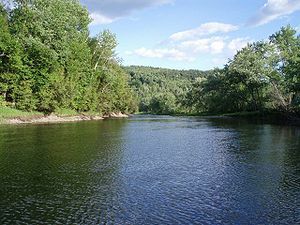 Yesterday we went kayaking on the Connecticut river with our friend Lisa. We put in in Thetford and paddled and talked down to the organic farm on the river and back. 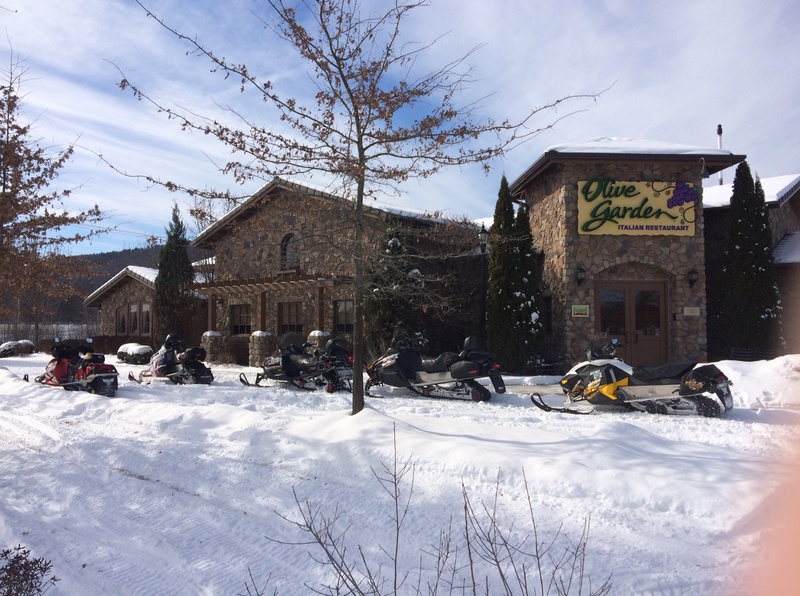 It was a sunny and breezy day so the trip was relaxing and quite enjoyable. This morning I checked the gardens to see what had ripened in the past two days and picked a few things to either process or use in a few meals and sides for this week. It wasn’t a bad harvest considering it is still early in the season up here and the rain and shy sun this season have slow everything down. Today I picked green beans, zucchini, red ans yellow beets and kale. We love, love, love summer greens of all types. Today I pulled a few beets and just had to cook the greens while they were fresh and crisp. Boil the beets in water until fork tender. Drain and let cool in a plastic bag. Rub the cooled beets with a paper towel to remove the skin and then cut into small cubes and set aside. Wash the greens in a sink filled with cold water. Drain greens and cut away any heavy stems. Tear leaves into bite-sized pieces. Set aside. 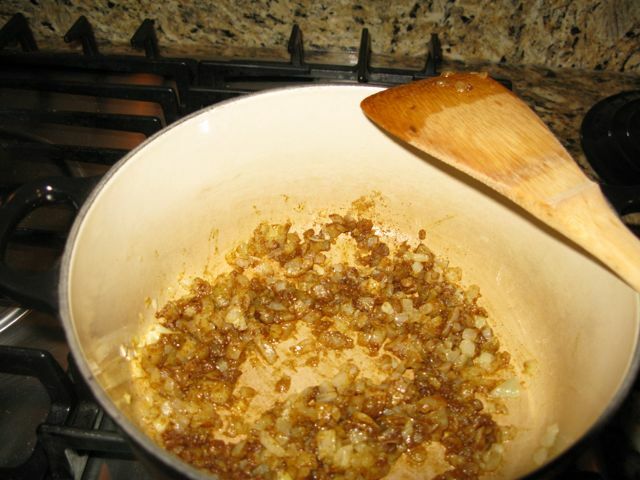 In a large skillet heat a tablespoon of olive oil and then add onions, cook over medium heat 5 to 7 minutes, stirring occasionally, until onions soften and start to brown. Stir in garlic. Add water to the hot pan, stirring to loosen any particles from bottom of pan. Stir in syrup and red pepper. Bring mixture to a boil. Add the beet greens, gently toss in the onion mixture so the greens are well coated. Reduce heat to low, cover and simmer for 5-15 minutes until the greens are tender. 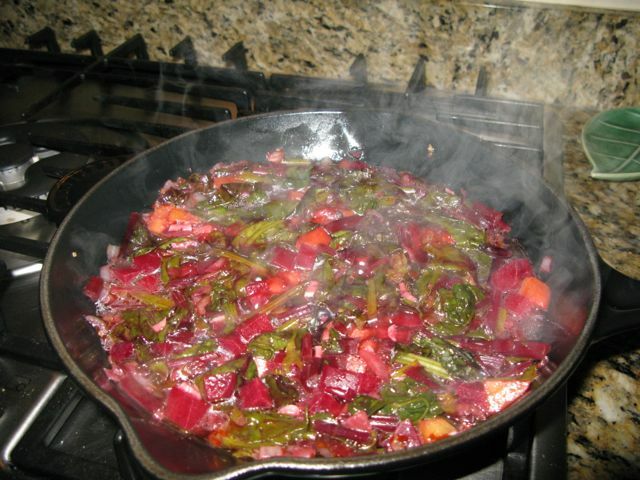 Stir in vinegar and cubed beets, cook for an additional 2 to 3 minutes. Remove from the stove and serve immediately.